I fancy the last Burgundian sets. 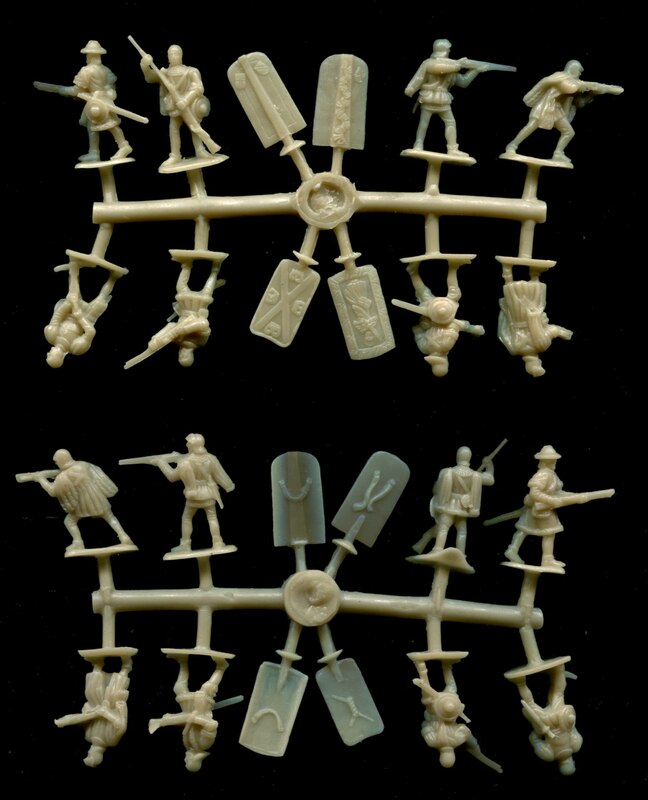 And hopefully in the RedBox format like the Italian or Spanish infantry sets: 12 troopers and 4 staff. The Strelets crossbowmen set was not a real succes, so hopefully a nice set this time! .....although, thinking about it.. that would mean space taken up on the sprue and maybe less actual crossbowmen and Pavise are easy enough to make. ooh..and depending on the poses..I´ve just had an idea !!!!! Some very interisting & exceptional subjects again. I sincerely hope the intriguing RedBox range is profitable & successful. Truly, they‘re constantly breaking new ground in 1/72 plastic. Has somebody heard about the estimated release dates already? Would be great if it would be possible to have a glimpse at some preview images!? Any online at vk already? On the Strelets forum HARON said in his typical short and clear words: ‘In may’. The RedBox pre 1812 Russian infantry sets are sceduled for end this year. That’s what he mentioned on vk site. I don’t speak russian; read that here at Bennos. Announced sets are on vk-site. 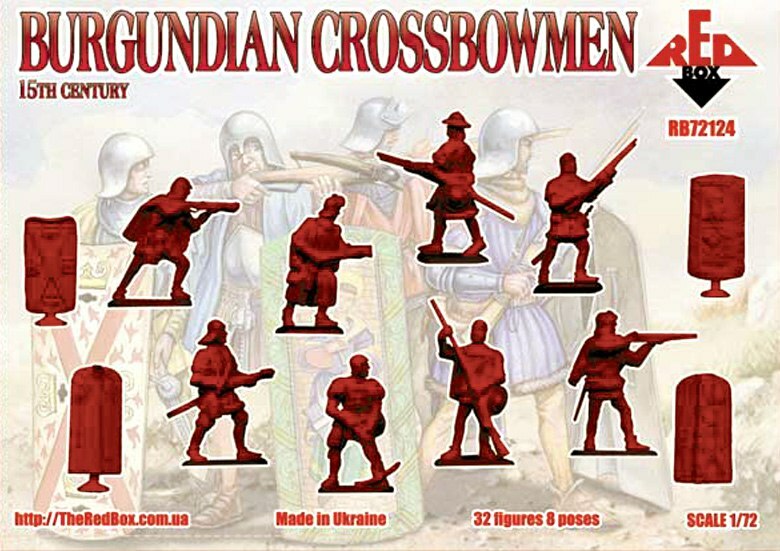 Burgundian crossbowmen got 8 poses from which 4 handgunners. 3 of 4 pavises are on standards. It’s not the final set of crossbowmen which will make all others unnecessary, so the speak. Bit of dissapointment, although usable. All other new RedBox sets are up too. Korean and Chinese: light, medium, heavy, and guerrilla. Think the are nice. Looks more like Burgundian Musketeers. TBH, they (the arquebusiers) don´t look too bad. As for the Crossbowmen..also not bad but unfortunately my plans for them (other than just painting them) have been scuppered. Hopefully Frank will make a set of crossbowmen to add to his series. RedBox latest release batch is available since last week. RedBox achieves a steadily growing output of interisting & unusual subjects. Red Box have improved since the early days. I like them as well, but I still did not understand why they call their set "crossbowmen".